This has been a project I've been working on for the past year. 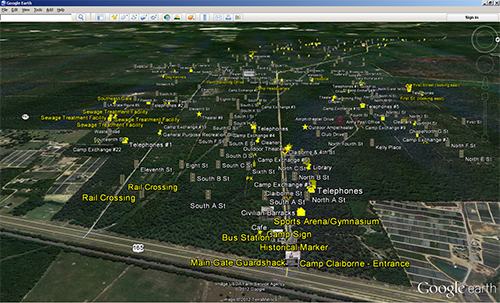 It's been my goal to link as many locations to Google Earth as possible. Phase 1 was the inital creation, which has recently been completed. Phase 2 will begin in early 2013 and will add more locations and media.